Here are just a few of our most recent custom design projects. Contact us to see how we can work together to satisfy your design needs! Lakeland Supply commissioned a beautiful conference table, a stunning maple wood desk, and shelving that was made from wood recovered from a 1911 Milwaukee building. 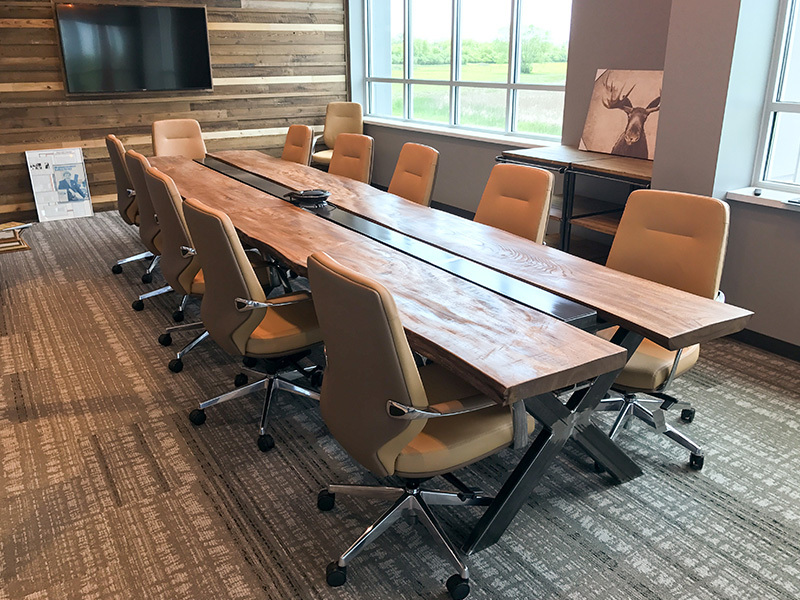 For the Milwaukee-based construction firm JP Cullen, Gear Grove created several custom wood & steel tables, including a large conference table, and installed them in their office. This home office space was designed and built specifically for working from the comfort of home. We built a custom desk and wood & steel filing cabinet. Gear Grove worked with the homeowner to create a statement piece for her dining room that achieved an industrial look while also being safe for her children. Our client wanted to create a modular office with dynamic workspaces and lots of natural lighting. We also created a custom cork board and pallet wall to give the office a reclaimed rustic feel. The homeowners had a sunroom they didn't use often and had a vision of turning it into a ski lodge-style lounge, a space where they could have coffee in the morning yet entertain in the evening with wine and drinks. Gear Grove recently finished converting part of a large, 3-car garage into a fully functional cigar bar and lounge. The project includes a beautiful entryway, wet bar, and more. We recently finished this basement furnishing and remodeling project, including building and installing an entertainment center, cabinets, shelving, wine racks, walls and doorways. We had a blast working on this conference room for a Milwaukee-area Fortune 500 company's headquarters. Sliding doors, conference room table, and wood accent walls. 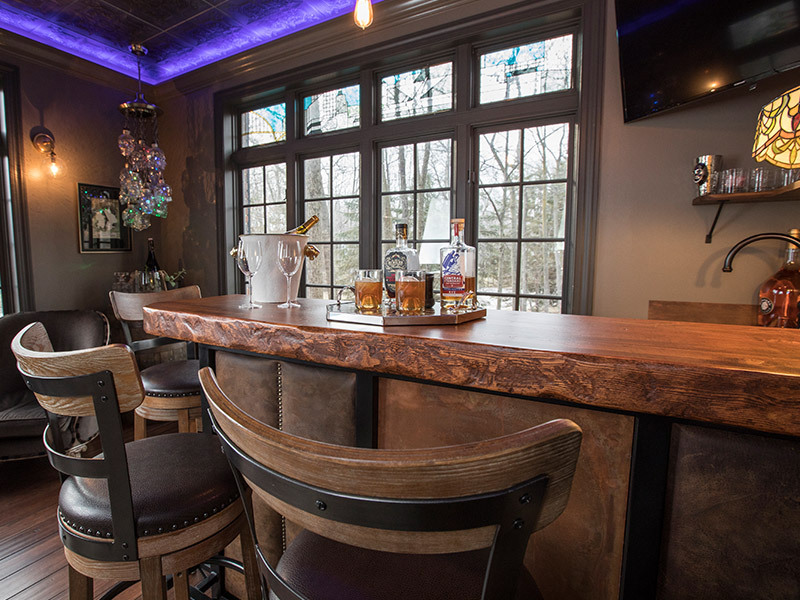 Sunroom turned into a beautiful new space with new flooring, custom bar, and stained glass windows. This custom white oak and cedar conference table for Racine-based engineering consultants Design Department included a CNC-machined top to match precise specifications. LOOKING FOR A CUSTOM FURNITURE BUILD? Whether you're searching for custom office furniture or a beautiful piece for your home, we'd love to build it. Contact us today!